Thanksgiving is barely past. Christmas has not yet arrived. NewYears is over a month away. But in Alta Canyon it is a NEW DAY! We have just launched our new state of the art website. I hope you will take time to browse around on it for awhile and see all the great stuff that is now right at your finger tips. If you find anything too difficult or if you have some great ideas be sure and let us know. We want to make this site as informative and as inviting as possible for those who stop by. It is designed to let the new comer easily learn who we are and what they can expect if they choose to come visit us. 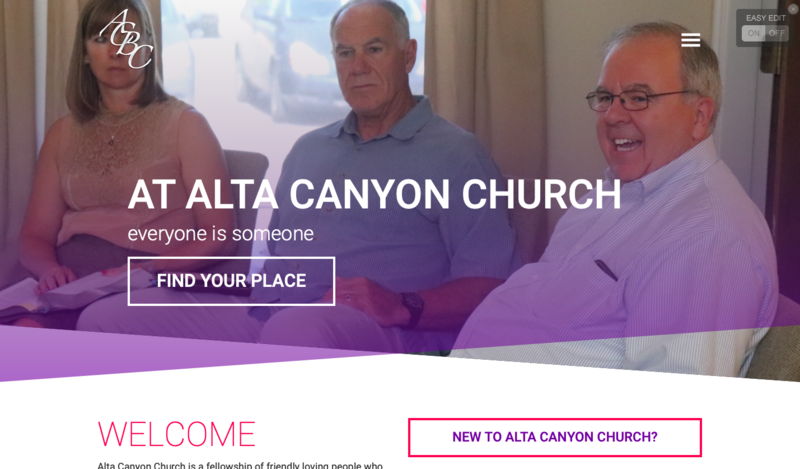 But it is also designed to help everyone in the church be more involved and to find new opportunities and ways to grow in their faith and exercise their gifs as we try to serve our community and represent Jesus well in our everyday life. So go ahead and look around, share it with your friends and family, and make some notes to send us so we can make it even better.